Beware! 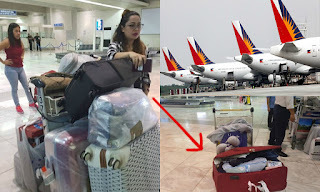 Balikbayan Passenger Complains About Missing Money In Baggage But Airline Ignores Her! Home / News / Beware! 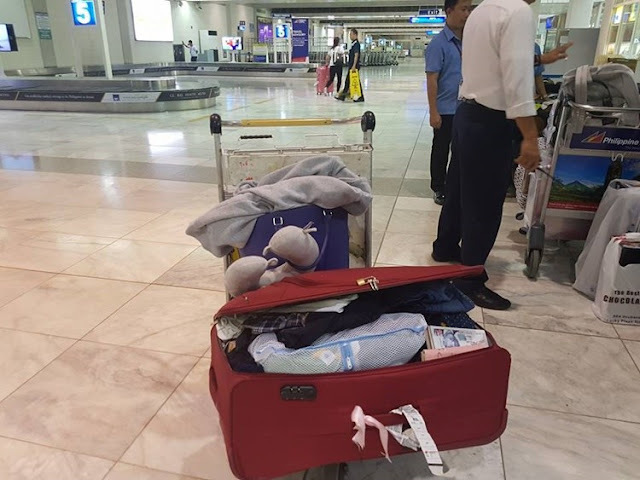 Balikbayan Passenger Complains About Missing Money In Baggage But Airline Ignores Her! 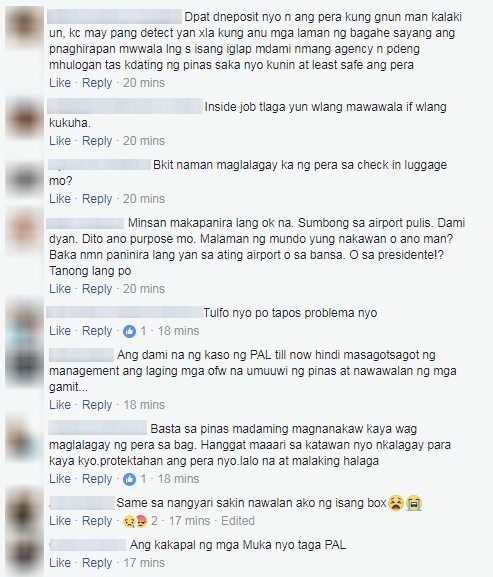 A netizen named Jho Cabagyo shared her sentiments on her Facebook account regarding losing a large amount of cash from his locked checked-in luggage at one of the popular airlines in the country, The Philippine Airlines. 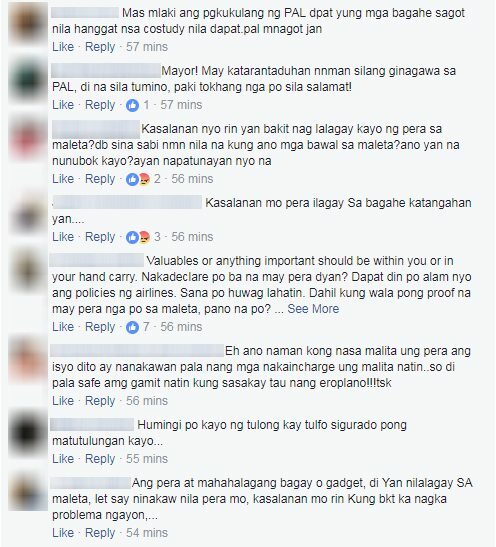 Nowadays, we can hear a lot of reports about plane passengers complaining about missing items from their luggage at the airport. The authorities have also warned all the passengers to be more aware of their surroundings especially when luggage enters the conveyor belt. The reason why most of the airline passengers secured their luggage big time. 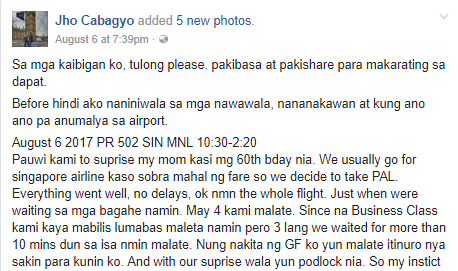 Cabagyo decided to return to the Philippines from Singapore to surprise the mother of her girlfriend on its 60th birthday. 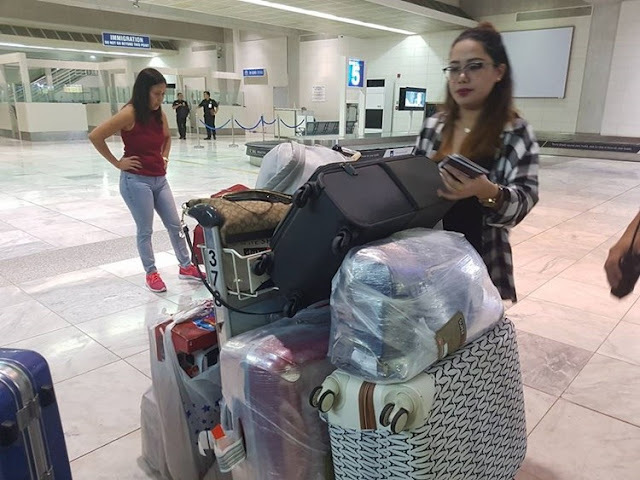 The couple did not experience any delays and thought that they have a great trip all in all, but they were disappointed after something unexpected happened at the airport. 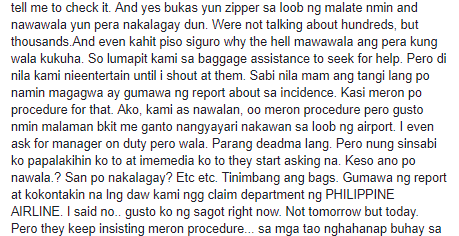 Jho shared that they have four suitcases, which undergoes from the conveyor belt. 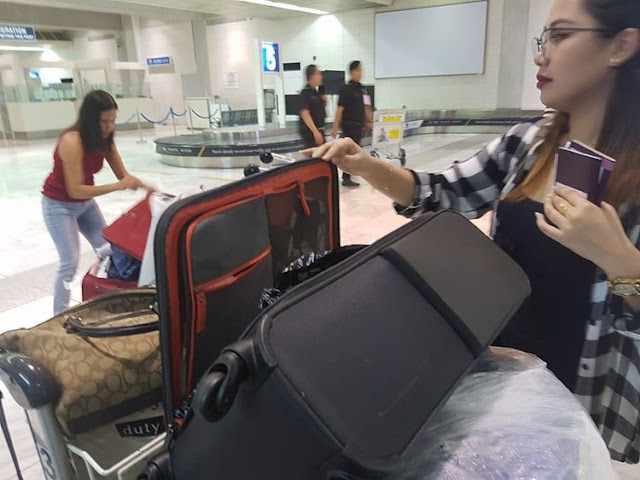 The couple was able to quickly get the three of their suitcases, but the fourth one took about 10 minutes before it comes out from the conveyor. His girlfriend noticed that the padlock of their luggage was gone and found that their money was already missing. He did not mention how much they lost, but they lost thousands of pesos. 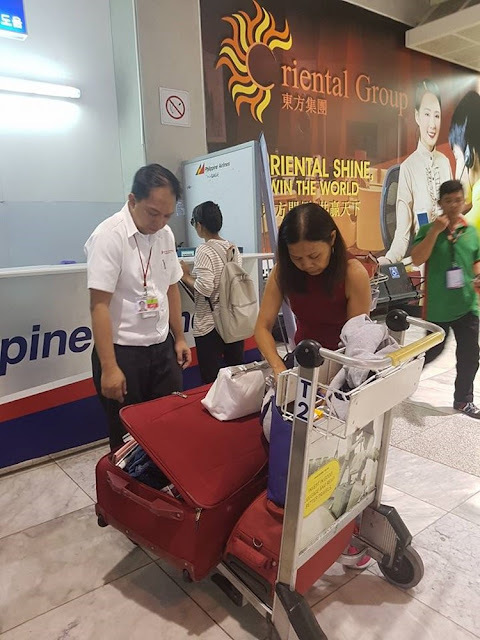 The couple immediately reported the incidents at the airline’s baggage assistance counter, but they were only neglected by some personnel and told to wait as a part of their procedure. The airport’s staff only entertained them when he said that he would take it to the media. 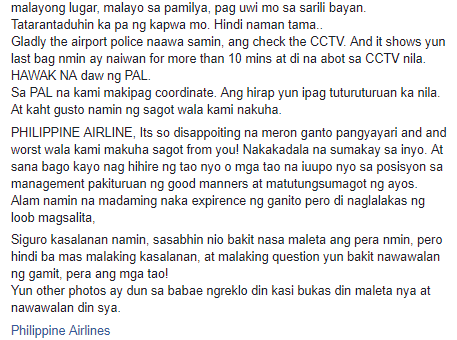 The airline personnel told the couple that they will contact them once the result of the investigation is generated. Cabagyo said that they bought a total of 4 suitcases and only got 3 of these. They were able to find the 4th suitcase, but the padlock was already gone. She immediately checked the contents and discovered that her money was gone! They proceeded to baggage assistance department. However, no one took notice of the harried couple so Cabagyo flew off the handle. They were entertained but the staff explained that there is a procedure in reporting the incident. The couple was advised to coordinate with PAL about the incident. It seems that Cabagyo was not hopeful for the return of her money. 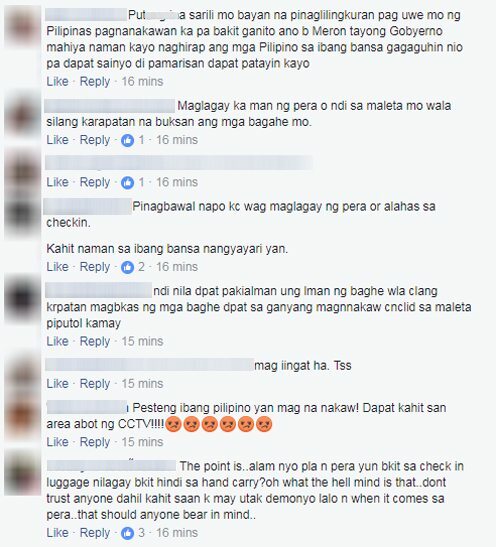 Netizens had mixed reactions to Cabagyo’s post, but most were sympathetic. 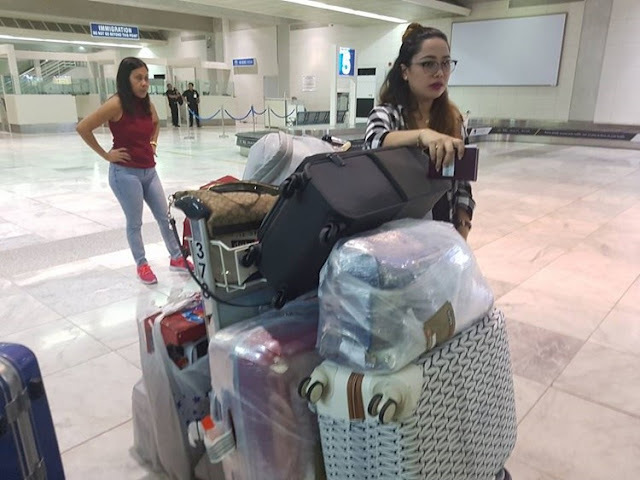 Others slammed Cabagyo for putting money in their check-in baggage, despite repeated warnings from airport authorities to never leave valuable items in bags. What do you think of this unfortunate incident? Do you think PAL should compensate the couple for what they lost? Share your thoughts and comments below!